Hearing-aid directionality is generally very useful, but limited in magnitude by the small physical size of hearing aids. A handheld microphone is much larger and has more battery power, which makes it possible to increase directionality substantially. Since we wanted the user to be in complete control of the handheld microphone, a fixed-weight (as opposed to adaptive) design was chosen for the filter-and-sum array processing. The precise design of the array processing was a compromise between achieving maximum directionality and keeping the so-called noise sensitivity within reasonable limits. 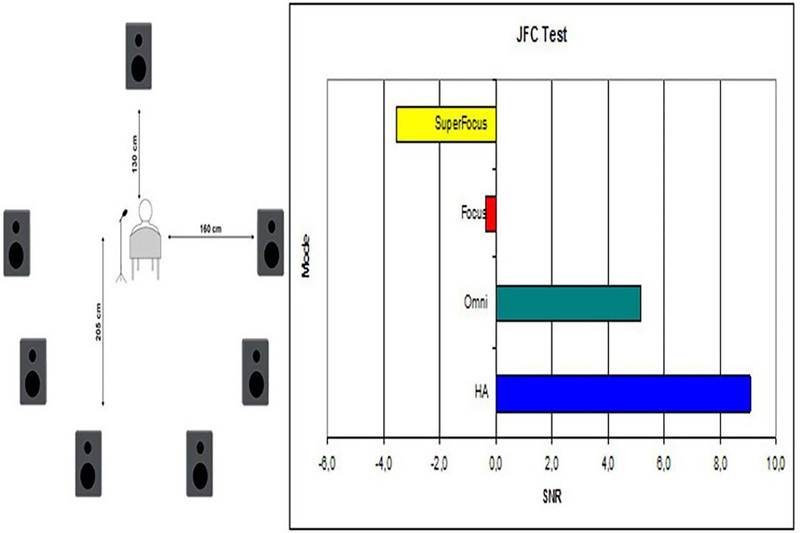 Noise sensitivity describes both the resulting level of microphone hiss and the tolerance for response variations among the individual microphones. We found that basing the array on figure-of-eight microphones was a good solution, as these microphones strongly suppress sound coming from the sides, whereas the array processing suppresses sound coming from the back. The final array design provides a directionality that amounts to an Articulation Index-weighted Directivity Index (AI-DI) of 8.5 dB. This is a substantial improvement over the 4-5 dB AI-DI typically reported for hearing aids. Moreover, directional hearing aids often roll off the low frequencies, because of the noise sensitivity issue. 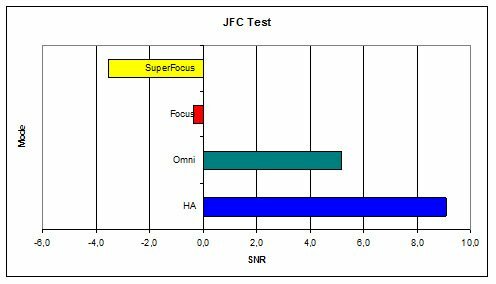 In contrast, the microphone array maintains full audibility throughout the range of speech frequencies. The microphone array was tested with hearing-impaired listeners in the severe-to-profound segment, who are the most likely users of handheld assistive listening devices. The results showed that the measured AI-DI translated directly into an improvement in speech reception threshold.